Marisa is a partner in the law firm of Lynch, Traub, Keefe & Errante, P.C. Marisa is an experienced litigator and appellate attorney, who primarily focuses on complex civil litigation and medical malpractice cases in both state and federal state courts. Throughout her career, Marisa has achieved many successful outcomes for her clients both in and out of the courtroom. For example, Marisa secured a $4 million verdict against the State of Connecticut following a fatal interstate accident due to lane obstructions on I-91. In addition, Marisa was involved in a sexual abuse case that yielded a $12.5 million settlement. As a result of this settlement, Marisa was recognized in Connecticut Law Tribune's Personal Injury Hall of Fame. She has also been an instrumental part of many of the firms numerous other multi-million dollar medical malpractice and personal injury settlements. Marisa has distinguished herself as a vigilant and dedicated attorney who pays particular attention to even the smallest details in her cases. Her unique ability to command both the facts and the legal principles of cases form the cornerstone of both her and her firm's numerous successes. Marisa's ability to grasp complex scientific and legal principles coupled with her analytical skills have proven to be valuable assets to her clients and her firm. Marisa received her Juris Doctorate Degree from Quinnipiac University School of Law and a Bachelor of Arts Degree in Political Science from Syracuse University. Throughout law school, Marisa received several awards, including the esteemed Dean's Award. In 2007, Marisa was featured in a cover story in Quinnipiac Law Magazine in an article related to work-life balance. In 2012, Marisa was named a "New Leader of the Law" by the Connecticut Law Tribune. In addition, she has been named as a Super Lawyer Rising Star from 2009-2012 and has also been named as a Super Lawyer in personal injury-medical malpractice by Connecticut Magazine in each subsequent year. Marisa is admitted to practice law in the State of Connecticut, State of New York, the United States District Court for the District of Connecticut and the United States Court of Appeals for the Second Circuit. 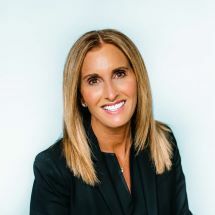 Marisa is active with the Connecticut Trial Lawyers Association (CTLA) and was recently elected as Parliamentarian of the organization. She also serves on the CTLA's Executive Committee, Board of Governors, Medical Malpractice Committee, General Tort Committee, Continuing Legal Education Committee and Communications Committee. She is a co-chair of the General Tort Committee and the Communications Committee and is a past Chair of the CTLA Women's Caucus. In addition, she has served as the co-chair and has been involved with various fundraisers sponsored by the CTLA, which have raised funds for Habitat for Humanity, The Newtown Memorial Fund, Wounded Warrior Project and the Connecticut Cancer Foundation, to name a few. She is also an active member of the American Association for Justice (AAJ). Marisa previously served as the Vice-President of the New Haven County Bar Association Young Lawyers' Division and was a member of the Public Service Committee. She also routinely serves as a judge for local Moot Court competitions and participates as a brief judge for the National Appellate Advocacy Competition.